Debbie Scallion received her diploma from the Canadian School of Natural Nutrition in Vancouver BC. She is a board member of the Canadian Association of Holistic Nutrition Professionals (CAHN-Pro). She is currently practising in Quesnel, BC. She does one-on-one counselling with clients, assisting them with goal-setting, determining a plan to achieve their goals and working together to problem solve along the way. Debbie also conducts group talks on nutrition with various non-profit organisations as well as corporate clients. She works with both men and women, but as a new mother, she specializes in women's issues including fertility, pregnancy and infant nutrition. She has developed a blog to help parents learn how to feed their children. Her work with both men and women have been, but not limited to, detoxification, sports nutrition, weight loss and digestive disorders. Her focus is healing with whole foods and bringing the body into balance through a holistic approach. 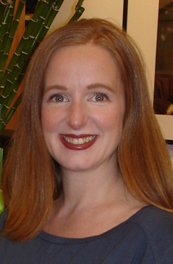 She is passionate about natural health and believes that the prevention of degenerative diseases begins with our relationship with food.With her work with CAHN-Pro, she is involved in a number of ongoing research studies to develop the profession and ensure membership has access to the most up to date, relevant, cutting edge information. Debbie organizes events and conferences for Holistic Nutritionists throughout BC, bringing the latest in protocol development to the field. She is Co-chair of the Vancouver Organizing Committee of CAHN-Pro, establishing the standard for Holistic Nutritionists within BC. Her interest in natural health began in childhood. She witnessed the effects of proper nutrition and supplements as they drastically improved the health of her family. Prior to becoming an RHN, Debbie spent several years counselling women who were in crisis. Through that work, she naturally developed a very empathetic and supportive approach with her clients. She conducts workshops in her community on health and healing and strives to continually increase the awareness of the power of food. Debbie enjoys an active lifestyle, which includes yoga, cycling and hiking in local mountains. She also loves singing and playing music.